Hey Dolphin Shout and Miami Dolphin fans throughout the world. Here's to your New Year (beyond football) going as planned! But first, please don't misunderstand. Don Shula and Dan Marino are adored in this household! In the year 2000 the great seventeen year veteran quarterback Dan Marino won his final game as a Miami Dolphin and his first career road playoff victory. On the following post season weekend Danny was replaced after the first third quarter series in a 62-7 playoff loss to the Jacksonville Jaguars. The one and only number 13 retired shortly thereafter. There is no doubt that Dan Marino was the absolute best quarterback in the AFC for the entirety of his seventeen year career, and for thirteen of those years he was led by that absolute best head coach in NFL history (Don Shula)! The duo tabulated many statistically historic marks and yet they won the AFC East a meager five times while finishing third or worse six times. Shula and Marino advanced to the AFC Championship game three times. In 1984 they advanced to their one and only Super Bowl loss. The following year they lost the AFC Championship game and lost again in 1992. Thirteen years to put a team around Dan Marino and Shula couldn't get it done. In twelve of his seventeen years as the best AFC quarterback, Marino and his teams were beat out by lesser AFC East quarterbacks for the division. In sixteen of his seventeen years he was upstaged by lesser AFC quarterbacks for a conference championship opportunity. In all cases it is obvious that Marino was surrounded by an inferior total team cast to those with lesser quarterbacks! Whose fault was that? After the Dolphins defeated the Buffalo Bills for eleven straight years in 22 consecutive victories Shula, Marino, and their teams were beat out by inner division rivals Marv Levy and Jim Kelly, along with their Buffalo teams who went on to four consecutive Super Bowl losses in the early 1990's. Greatest Head Coach, General Manager, and staff for thirteen of the seventeen years of the Greatest quarterback of the era, if not history? 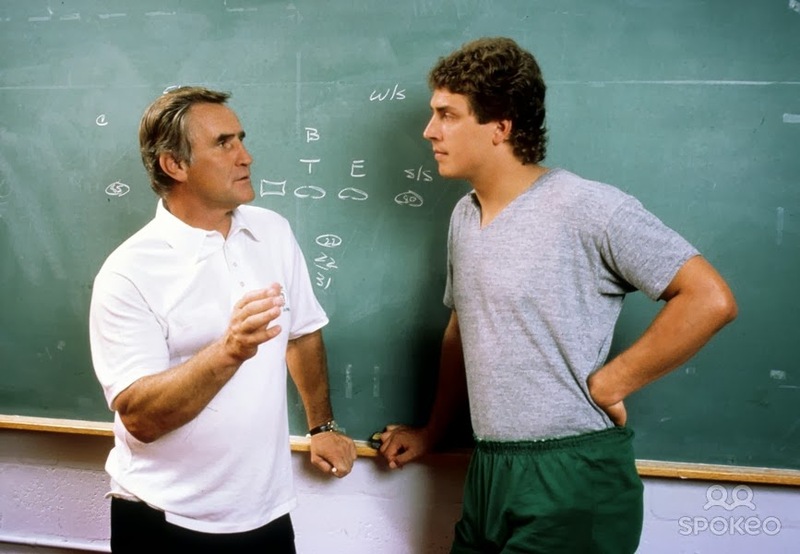 From 1983-1995 Don Shula under one scheme had one plan: Build a Super Bowl winning team around the greatest quarterback of the era. Dan Marino. Not a lot was needed being just one year removed from a David Woodley Super Bowl loss! Shula already had the best center in Dolphin history (Dwight Stephenson) with a great pass blocking offensive line for the occasion. He had two of the three best receivers in Dolphin history and good tight ends. All that was required was a defense of some sort! Maybe a running back to fool the opposition once in a while? Though it has been suggested by the dearly departed great Mad Dog Jim Mandich that "to have Dan Marino hand off is equatable to asking a brain surgeon to perform the surgery of a proctologist." So there you have it. Thirteen years with the greatest head coach, greatest quarterback, same scheme, same plan, great stats, and ZERO CHAMPIONSHIPS! The majority of Danny's records aren't even records anymore! Why are Shula and Marino held in such high regard? Because of the stats? Because of the excitement in non-championship seasons? Fact is that together they have won the same amount of NFL Championships that the seven head coaches and seventeen quarterbacks have won over the last thirteen years since Marino's retirement! Why are Shula and Marino irreplaceable? Why is so much immediately expected of all the three year termed regimes (of which all have required entirely different schemes and personnel)? Meanwhile, Shula and Marino couldn't get it done in thirteen years with the same scheme and relative personnel. Why do Shula and Marino get a pass and nothing but praise for rarely winning the division, or never winning an NFL Championship? Why do the new kids get raked over the coals for not winning the division, or making the playoffs, or winning championships in only their first two to three years at the helm? There will never again be for the Miami Dolphins the genius of Don Shula as head coach or the exciting ability of Dan Marino at quarterback that brought the fans one Super Bowl appearance! One Super Bowl appearance during a continuous thirteen year plan? So What! It is way beyond time to stop suggesting that this and that would have never happened if Shula and Marino were still around, because the same stuff (Non-Championship Seasons) took place when they were around! It's time to stop the comparisons of Shula to Philbin and/or Marino to Tannehill because, quite frankly, other than statistically over thirteen years to two, both tandems have won the same number of the most important ultimate goal, NFL Championships! Move forward and give the present during a few reasonable seasons a chance to accrue the handful of division championships, and the one Super Bowl appearance accrued between Shula and Marino's 1983 through 1995. As previously suggested, you don't need the best quarterback and/or head coach in the league to win the Championship. Shula and Marino were upstaged by lesser AFC head coaches and quarterbacks in all but one of their thirteen seasons together, and Danny was beaten out by lesser AFC quarterbacks for an additional four years beyond the retirement of Shula. More times than not, the best quarterback and/or head coach in the league doesn't win the Super Bowl! Long term, the best quarterbacks in the league will reside in the NFC (Rodgers, Brees, Stafford, Newton, Wilson, Kaepernick, RG3, Romo, Cutler, Foles). The eventual postseason Miami Dolphins will likely have to face one of those quarterbacks just one time in a post season Super Bowl during any given year. Once the AFC's Peyton Manning and Tom Brady hang'em'up, the AFC quarterback picture will be one of total parity! With no other present superstar quarterbacks in the picture, Andrew Luck will be at the top of the AFC heap and Ryan Tannehill will be peaking close to that of Luck. Tannehill has already beaten the present days superstar Brady as well as the long term Luck and the likes of the majority of the AFC's quarterbacks including playoff bound Rivers and Dalton. In 2013 he beat four of the six AFC playoff quarterbacks, didn't play against the other two, he beat Big Ben too! Philbin is still learning the head coach position on the fly, but for him to hold the 2013 Dolphins together is suggestive that he is a very good coach and is more than capable of winning under a season of normal circumstances! If given a reasonable chance? 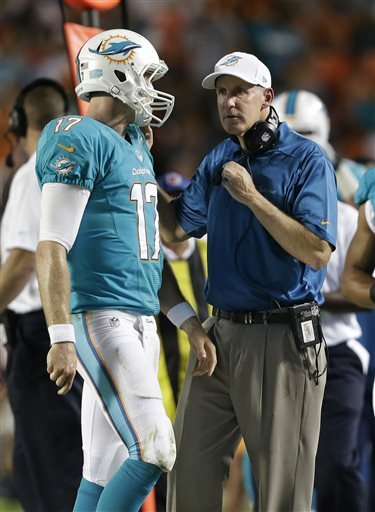 It might not be as pretty or exciting, but Joe Philbin and Ryan Tannehill are and/or will be good enough (with an eventually solid team around them) to match or surpass the postseason accomplishments that even the greatest Dolphin duo in history were able to (Or should I say, were unable to?)! Whether you have the best or worst head coach and quarterback tandem doesn't matter! It always takes a total team effort to advance to the post season for an opportunity to win an NFL Championship! Total team effort doesn't suggest that any one player, or all players on the team have to be the best in the league at their particular positions, just that the entire team effort has to be of the same mindset and goal! This individual for 2013 predicted nine wins with reasonable health, 10 wins with good health, and 11 plus wins with a few good bounces (of which none of the above took place). Quite honestly (for the most part) the opposite of all the above took place! Had one known prior to the season about what went down it's doubtful that anyone would have predicted more than a handful of wins! Somehow, someway, Joe Philbin and Ryan Tannehill coaxed eight wins out of a physically, as well as mentally decimated football team! Here's to the climbing of a well graded, slightly vertical, scenic mountain road in 2014! Thank You for an open-minded read as we look forward to your angle of view!